November's "Monday" Made It! 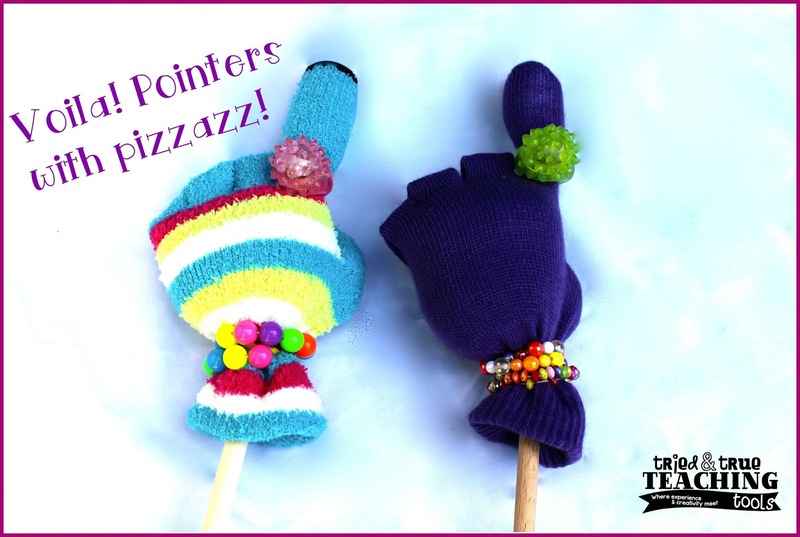 Pointers with Pizzazz! What teacher doesn't love a fancy pointer, right? 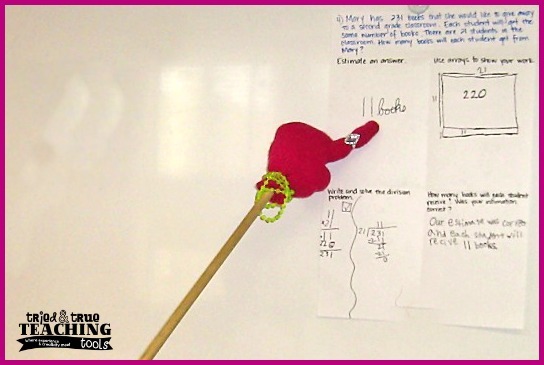 Especially when I taught 1st & 2nd grades, I had ALL kinds of pointers: apple pointers (big & small), finger pointers (for use on my overhead projector!! ), wand pointers with glitter, star pointers. . . you name it!! So I was especially excited when I saw BIG hand/finger pointers at a conference!! However, when I saw they cost $15, I was not so excited. I decided to make my own! The greatest thing about these pointers is their size. 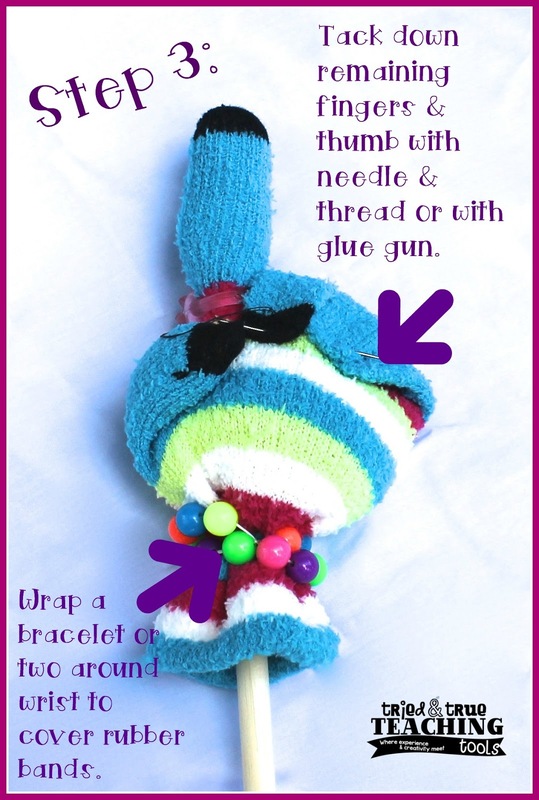 The dowels are long enough that students can stand back & not block their work, as they share. The rings I found this time have flashing lights inside them (gotta love those!) 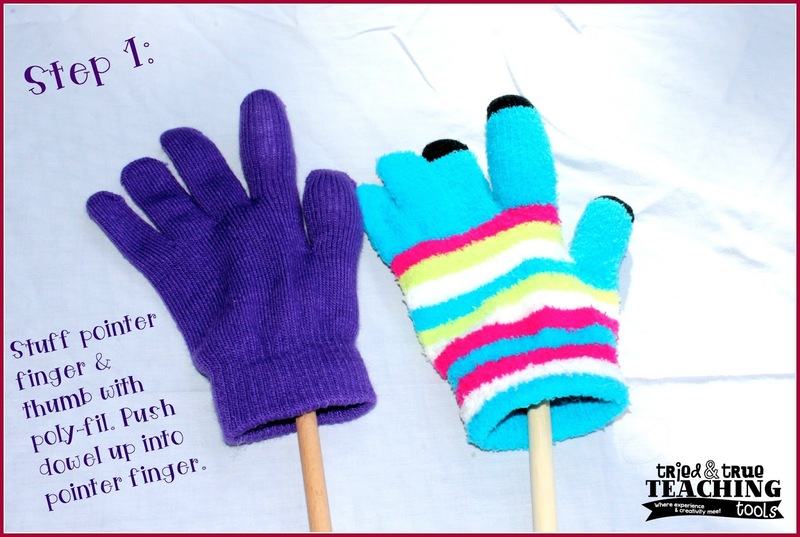 These also work great to track words on a class poster or anchor chart, as student read aloud! 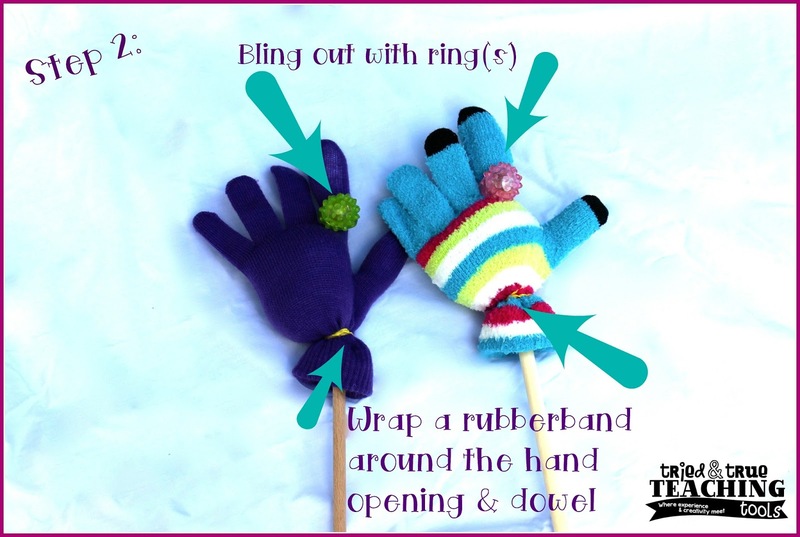 My 9-year old stopped to watch me make these pointers (as I was almost finished) & said, "Mom, you should have asked me to help you. I would have filmed you so you could make a video instead!" Shows the generation gap; that had never occurred to me! 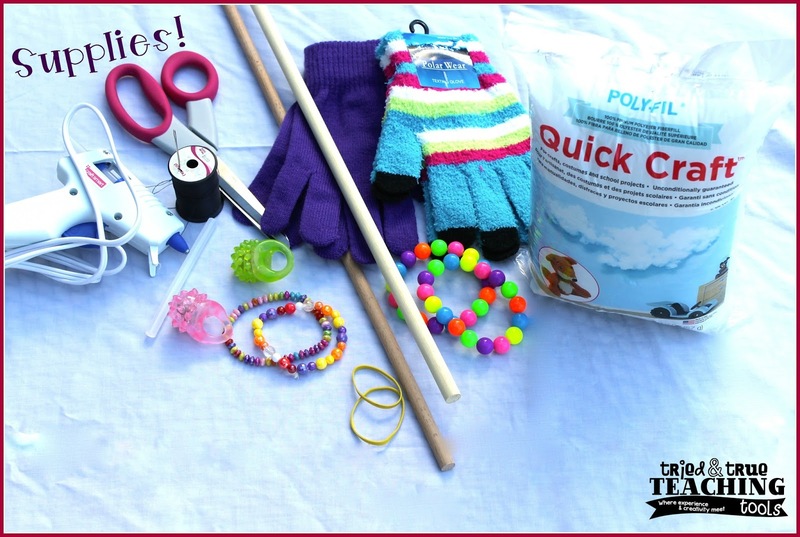 Well, next time I decide to get crafty, I promised her she could film it! 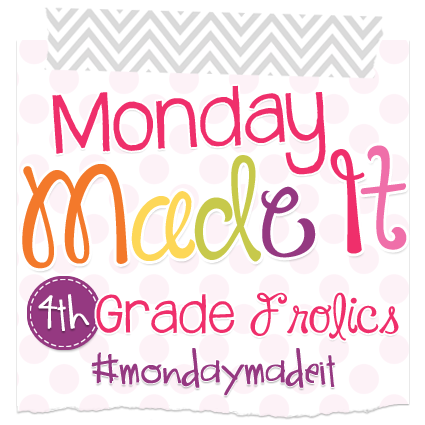 Thanks to Tara at 4th Grade Frolics for hosting November's Monday Made It linky party!